In a much less publicized race, Republican Ralph Norman won his special election in South Carolina by four points over his Democrat challenger. That was far closer than the 18 point margin the incumbent Republican, Mick Mulvaney, won the seat in November. Mulvaney later relinquished the seat to become Trump’s Budget Director. A lot of people were surprised that Norman only won this seat by four. So what does all of this mean for the future generally and the 2018 midterms in particular? Under normal circumstance, probably very little. Though, of course, had Ossoff won in Georgia, the progressives were primed to portray it as a referendum on the Trump presidency. (On a related note, for a heady dose of schadenfreude, you can read the NYT article on Democrats bemoaning that “our brand is worse than Trump’s”) And the victory likely buoys Paul Ryan, who can whip the Republican House members by showing that the Georgia victory means that President Trump still has majority support. I think it fair to say that progressives saw that as a great victory in their war to nullify the November election. They are reliving the heading days of Watergate, when a similar charge and the appointment of a special counsel brought down the presidency of Richard Nixon. Indeed, Watergate not only damaged Nixon, it damaged the Republican brand for well over a decade. Nixon resigned and Republican congresscritters were savaged at the ballot box in the wake of Watergate. [I]t is striking how little evidence there is that any underlying crime occurred — that there was any actual collusion between the Donald Trump campaign and the Russians. Everything seems to be leaking out of this administration, but so far the leaks about actual collusion are meager. And in all of that lies the importance of the Handel and Norman victories last night. The jihad against Trump is having an effect, likely palpable in the closeness of the Norman victory at least. But it is nowhere near setting the stage for a successful coup against President Trump and Republicans at all other levels. It suggests, one, that progressive efforts to bring a coup against Trump are not getting traction; two, that Trump supporters will likely turn out in large numbers in 2018 in response to the unhinged progressive jihad; and three, that the progressive left are doing more harm to themselves with their over the top efforts aimed at regime change than they are doing to Trump or the Republican brand. Will the appointment of a special prosecutor and any charges he may, in the end, bring against Trump mortally wound Republicans and the Trump Administration? Maybe, but . . . Special Counsel Robert Mueller has a yawning conflict of interest — he is best buds with material witness James Comey — which should already have led Mueller to resign, or at least recuse himself in part. Moreover, Mueller is assembling an “investigative” team that seems comprised of nothing but donors to the DNC and Hillary Clinton PACs. It is hard to imagine anything more blatantly one sided. Watergate succeeded because Republicans themselves saw Nixon as dirty. That is not the case here. If the progressives, or Mueller himself, think that they are going to replay Watergate with a deck so stacked, they are making a grave error of judgment. 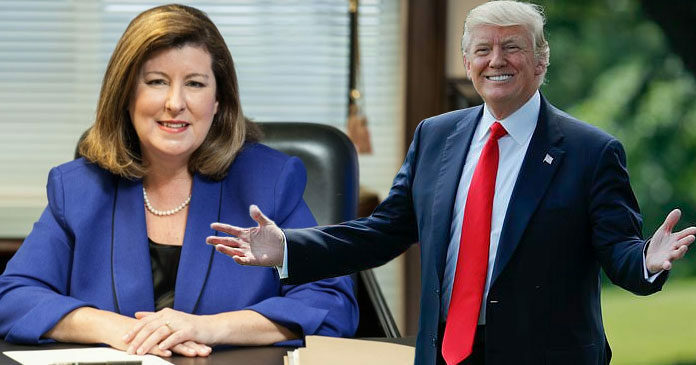 The special election last night of Handel and Norman ought to be a warning shot across their bow. The road the progressives are on, as Kurt Schlicter rightly pointed out a few days ago, leads, at best, only to chaos. Update: Today’s truly comic moment comes from Jon Ossoff. In the wake of his defeat to Karen Handel, after spending tens of million of dollars, 95% of which came from out state donations, Ossoff today called for campaign finance reform.